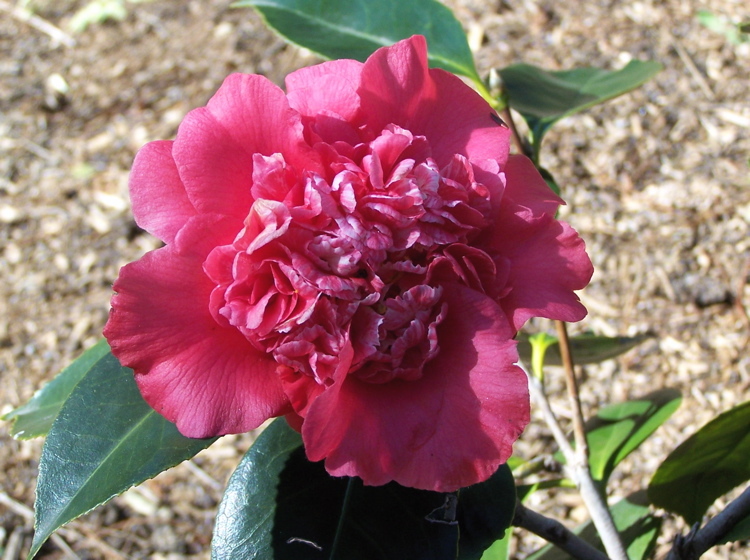 A cultivar of Camellia japonica L. Camden Park bred, seedling 9/50. ‘Scarlet crimson, four rows of outer petals, inner petals small and crowded, with a few white amongst kernel. Pretty flower, with a few anthers. Good.’ William Macarthur. A year later an additional note ‘1851 very large size E. B.’, was made presumably by Edmund Blake. [MP A2948-6]. First described in 1850 and listed in the 1857 catalogue [T.206/1857]. Macarthur sold plants to Bailey and sons of Adelaide in 1853. Plants were distributed by Rule and it was still growing at Camden Park and the Melbourne Botanic Gardens in the 1940s. [CQ]. It was listed in the ABHSR of 1849/50.